The Bank of Canada increased the key interest rate in September this year, justifying the move with a steady and sustainable economic growth and higher consumer spending. 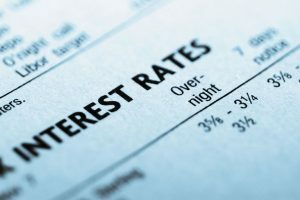 Interest rate hikes result in higher borrowing costs, help control inflation, and have a cooling effect on hot housing markets and economic growth. Low interest rates, on the other hand, encourage borrowing for both consumers and businesses and thus stimulate economic growth. A strong loonie indicates economic growth, makes imports cheaper, and affects exports. 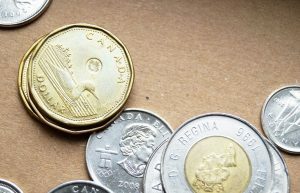 Canadian businesses that buy services and goods south of the border benefit from a strong loonie. Consumers also benefit from lower prices in the U.S. and discounted travel and vacations. At the same time, Canadian exports suffer, and the reason is that the U.S. is Canada’s major export partner. Together with real estate, the mining industry is the main driving force behind economic growth in Canada. The resource sectors, including forestry, metals, mineral extraction, and gas and oil extraction make for about 16 percent of Canada’s gross domestic product. Exports, on the other hand, account for about 32 percent of GDP, and the natural resources sector dominates by far. Exports stimulate economic growth but a strong loonie makes domestic goods and services less competitive. When the loonie is strong, manufacturers, exporters, the hospitality sector, and tourist operators are the main losers. A weak dollar has the opposite effect by triggering inflation and making goods more expensive in Canada. When it comes to exports, it looks that Canadian exporters have adopted successful strategies to remain competitive and adapt to appreciation. These include enhanced efficiency and productivity, the use of imported raw materials to reduce production costs, and expansion to new markets. Imported raw materials and other inputs, for example, help boost productivity and offset the negative effects of foreign exchange exposure. Export diversification is another successful strategy to adapt when the Canadian dollar is strong. In 2003, for example, many companies began to export goods and services to new markets. While in 2002 some 70 percent of exports went to the U.S., a year later this figure fell by whooping 14 percent. This means that the percentage of goods and services exports to emerging markets rose substantially and actually doubled. As a result of diversification strategies, exports to the European Union, the Middle East, and Asia rose in proportion. The reason why this strategy turned out successful is that the loonie does not appreciate equally against the Euro and other major currencies. Thus businesses enjoy better profit margins through diversification. Another strategy that Canadian exporters use is to establish sales and distribution offices when expanding to new markets. This is less expensive than maintaining production facilities abroad and fosters cooperation with new partners to increase after-sales. Many are working on joint projects as well. Finally, buying imported goods and services is another strategy to offset the negative effect of a strong loonie. This helps boost the purchasing power of manufacturers, and the reason is that imported components, parts, and raw materials are cheaper and help cut production costs. This strategy works well by increasing productivity through investments in advanced technology to reduce production and operational costs and eliminate waste. Real estate, together with construction, insurance, and finance, accounts for about 27 percent of Canada’s gross domestic product. During the last years, low interest rates made borrowing cheaper and contributed to economic growth. Cheap debt and construction helped offset the negative impact of low oil prices. At a time of quick economic growth and expansion, hikes in interest rates help keep inflation in check. The recent move by the Bank of Canada can be explained by robust growth in all sectors and areas, including consumer demand, exports, and employment levels. Low interest rates resulted in a significant increase in consumer demand, partly fueled by debt. What is more, low rates made mortgage loans more affordable but also resulted in heavy borrowing, including more home equity lines of credit and uninsured mortgages. Individuals and households with high debt loads find it more difficult to adjust to income changes, whether as a result of loss of employment or a job change. A growing number of heavily indebted persons and households can have a negative effect on consumer spending, the financial system, and the economy as a whole. In this line of thought, interest rate hikes and a subsequent cooling of the housing market can have a positive effect on the Canadian economy. At the same time, finance experts agree that a housing bubble like the one south of the border is unlikely to occur. The reason is that Canada has higher underwriting standards for mortgage loans. Mortgage protection through insurance and other measures also means that a state of chaos is an unlikely scenario in Canada. The Bank of Canada kept rates low in an attempt to offset the negative effects of low oil prices. For some experts, speculators and lack of housing supply are to blame for skyrocketing property prices in housing markets such as Vancouver and Toronto. For others, however, low interest rates are to blame and rate hikes can help fix this. 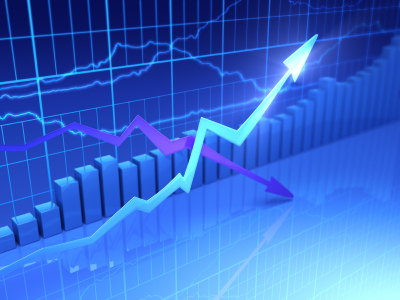 Higher rates mean higher costs for Canadian financial institutions. Many worry that interest rate hikes will affect mortgage payments but this is not the case. With a rate increase from 1.7 percent to 1.9 percent on a $500,000 mortgage, borrowers pay about $40 more a month. A subsequent hike in interest rates is expected to have a similar effect. Even in this case, borrowers have the option to lock in their rates and opt for a fixed-rate mortgage loan. This is what many choose to do when interest rates rise. 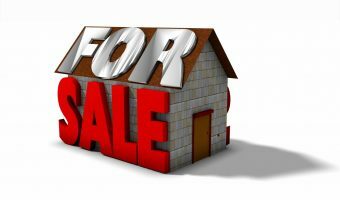 However, experts point out that a fixed-rate mortgage is a better option only if rates go up by 0.69 percent or more during the next couple of years. What we have seen so far is interest rates going up to 1 percent and then dropped by 0.5 percent over a 5-year period. With this in mind, a variable-rate mortgage with a low interest rate (i.e. 1.9 percent) makes more sense than a fixed-rate mortgage with a rate of about 2.6 percent. And according to Bank of Canada experts, subsequent rate hikes, if any, will be gradually implemented.